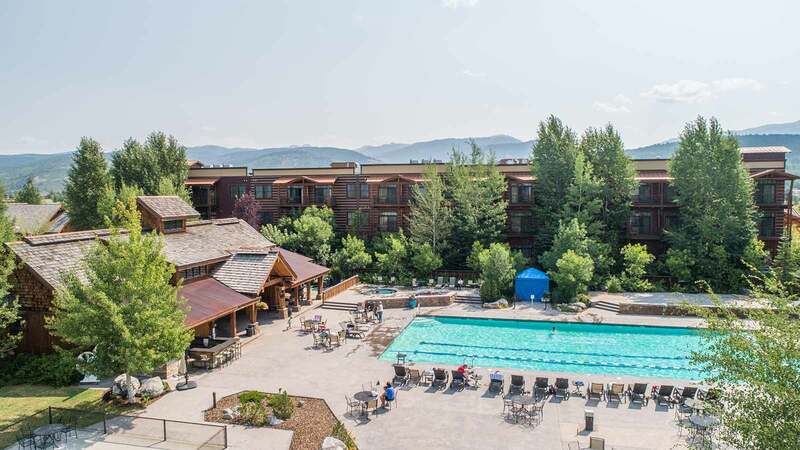 In addition to the Stillwaters Spa, Teton Springs Lodge & Spa offers access to a full service private health club, as well as a 25 meter outdoor heated pool with large sunning deck, two hot tubs, kids Geyser Land, two tennis courts, and a full length basketball court. The Fitness Center is outfitted with state-of-the-art strength training stations, free weights, and individual cardio training equipment including treadmills, elliptical trainers, and stationary bikes. In addition there is a 500 square foot room suitable for yoga, Pilates or aerobics. All health & fitness facilities operate year-round except for the swimming center which opens Memorial Day and delights visitors of all ages through mid-September. The pool at Teton Springs is part of the Sports Club Complex at the Headwaters Club, and is a private facility accessible to club members and lodging guests. The staff takes great pride in this facility and in offering a warm welcome to the resort’s lodging guests. 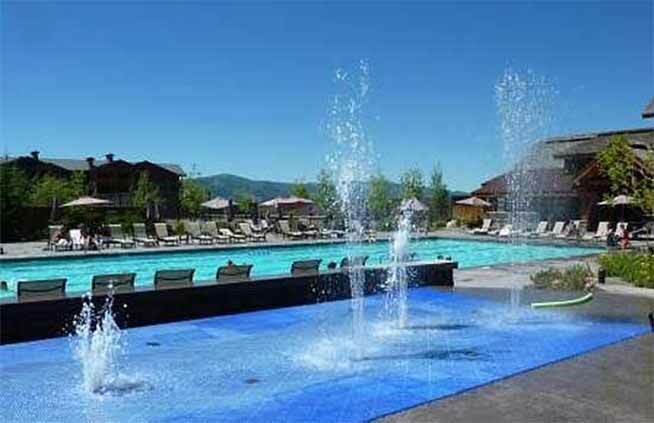 The pool at Teton Springs is unquestionably one of the key attractions at the resort! 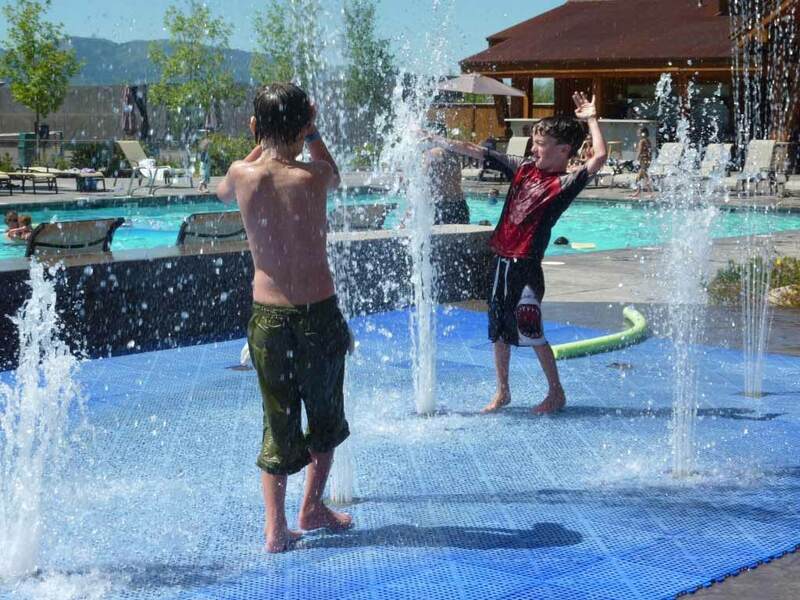 While the kids in the party naturally gravitate to the swimming area, often just minutes after checking in at the Lodge or one of the Mountain Log Homes, adults also find this setting equally as enticing. Pack the swim goggles and take a plunge!